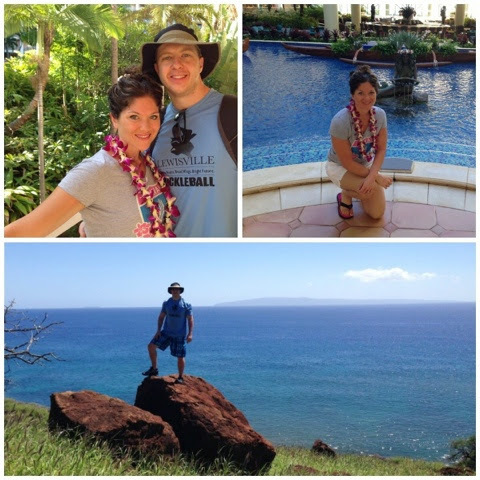 My husband and I were blessed to go to Maui, Hawaii in March of this year. My mom agreed to keep our 3 kids so we could go alone so it was almost like a second honeymoon for us! Thank you again mom and all my family who helped out so we could go! I took over 500 pictures plus the ones that the photographer took on our snorkeling/whale watching trip so these are just a few phone snapshots of some of the fun we had. 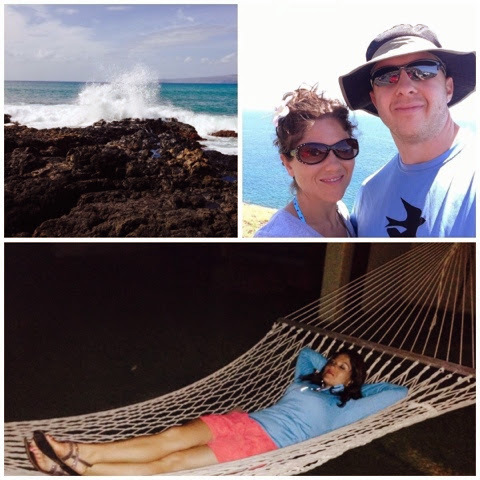 If you ever get a chance to go to Maui you must go, it was amazing!! 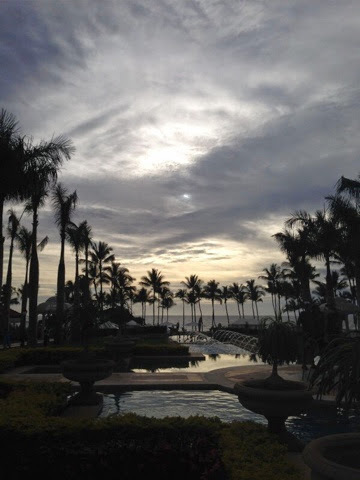 We stayed at the Grand Wailea and it was absolutely gorgeous with so many amazing amenities like an adult only pool, a kids area with slides, lazy river, rope swings and the world's largest water elevator, yoga on the beach, a fitness center, a spa, restaurants, shopping and so much more. The day we arrived it was raining but the sun still peaked through the clouds. 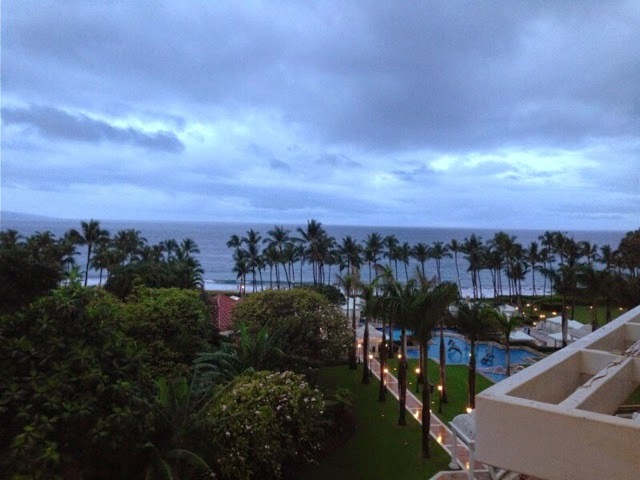 This is a pic from our room that night. Another view from our room...it truly was paradise. 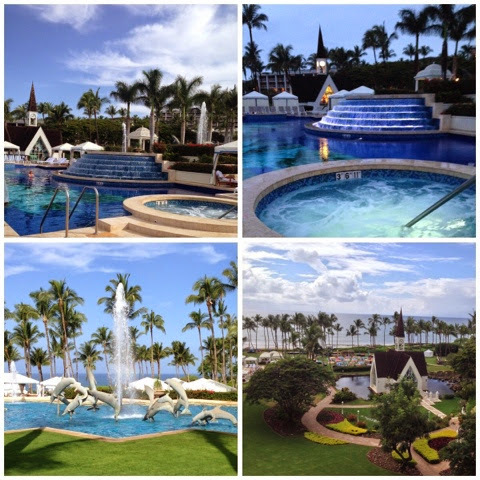 A few pictures of the Hibiscus pool(adults only) plus the gorgeous fountains and wedding chapel. 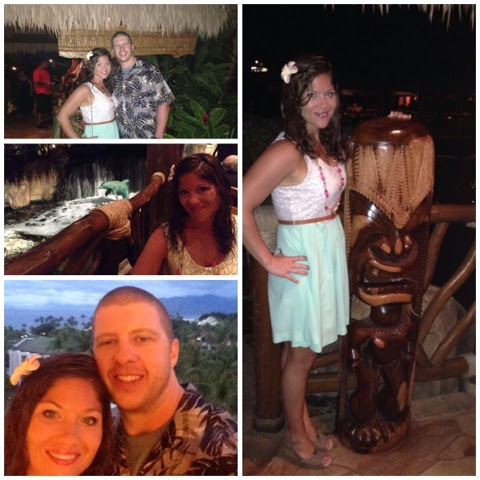 The first night we went to a Luau and had a blast. 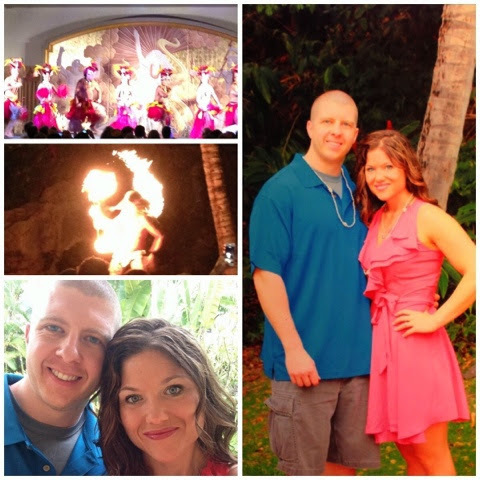 I was volunteered from our table to do the hula...luckily no pictures of that survived :) We also got to see an amazing fire thrower. One of the days we went exploring on the island and discovered so many fun, local shops. 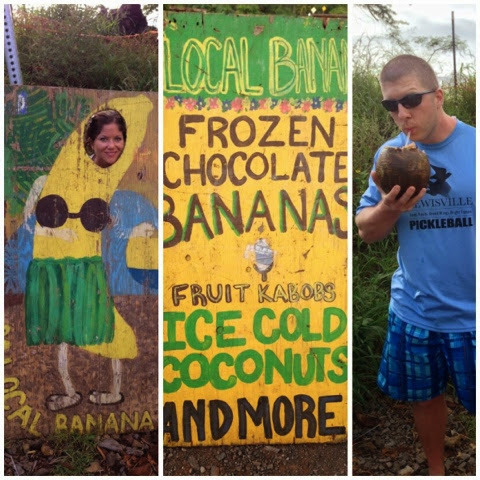 We especially liked this place on the side of the road that we found frozen chocolate bananas and fresh coconut(they cut it open right in front of us)! More fun exploring of the island. Everywhere you turned there was such beautiful scenery! The top took pictures are actually inside the resort! And of course a beach trip wouldn't be complete without writing our names in the sand! 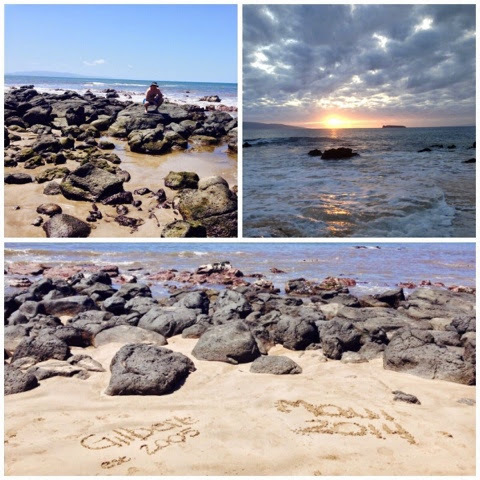 We did a snorkeling and whale watching tour and it was amazing. 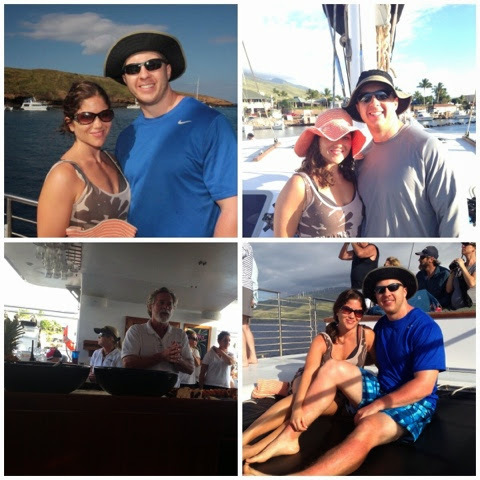 The bottom left picture is of the Captain and crew who waited on us hand and foot for breakfast, lunch, snacks and drinks! 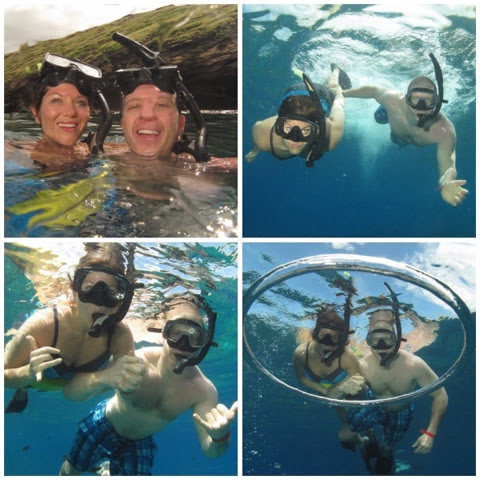 Some fun pictures the ship photographer took of us snorkeling. The last night we were there we ate at a restaurant called Humahumanukanukapuaa. The food was excellent and it was surrounded by water(you can kind of see that in the middle picture with the dolphin in the background).